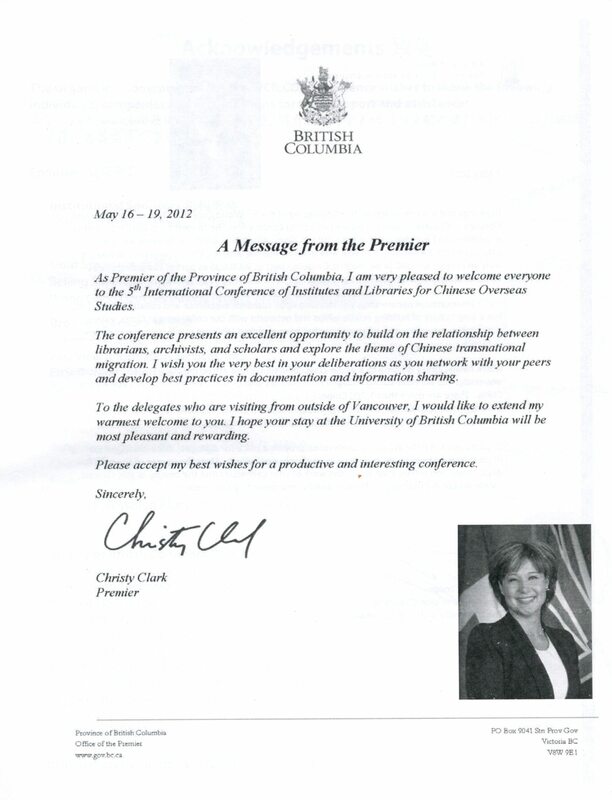 At the Closing Ceremony and Dinner of the 5th WCILCOS on May 18, 2012. 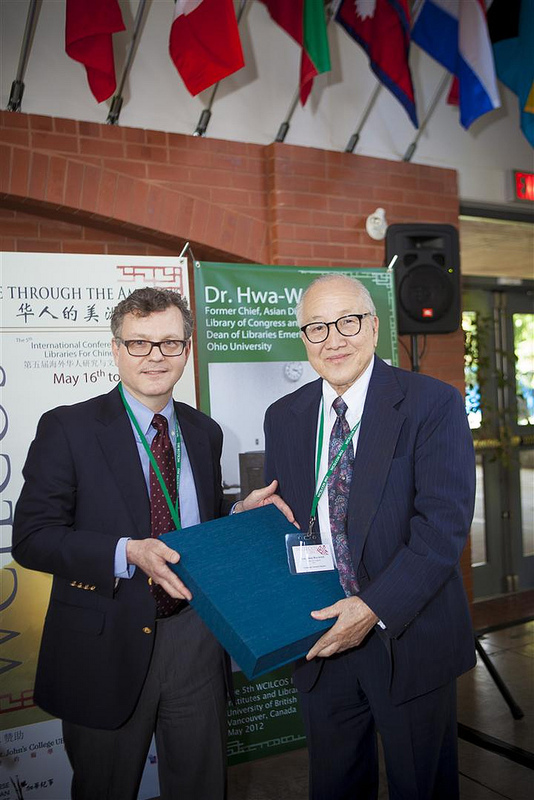 The dinner, which was in honor of Dr. Hwa-Wei Lee for his 80th birthday, was funded from the Ohio University Dr. Vernon R. & Marion Alden Library Endowment. The gift from Dean Scott Seaman of Ohio University Libraries was a collection of letters nominating Dr. Lee for the Honorary Doctor of Letters Degree which were to be conferred in June 2012 at the Ohio University commencement in Athens, OH. Dr. Shao You-Bao was presented a plaque 饮水思源 （When one drinks water, one must not forget where it comes from）for his contribution in the establishent of the Shao Center in March 2013 at Hong Kong. 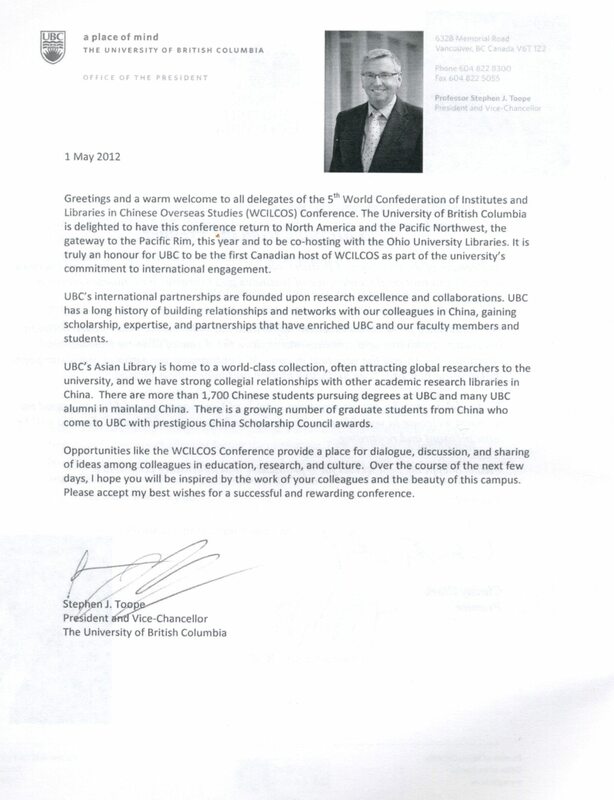 The second conference was held by both Ohio University libraries and University library system of the Chinese University of Hong Kong at Hong Kong, from March 13 to 15, 2003. 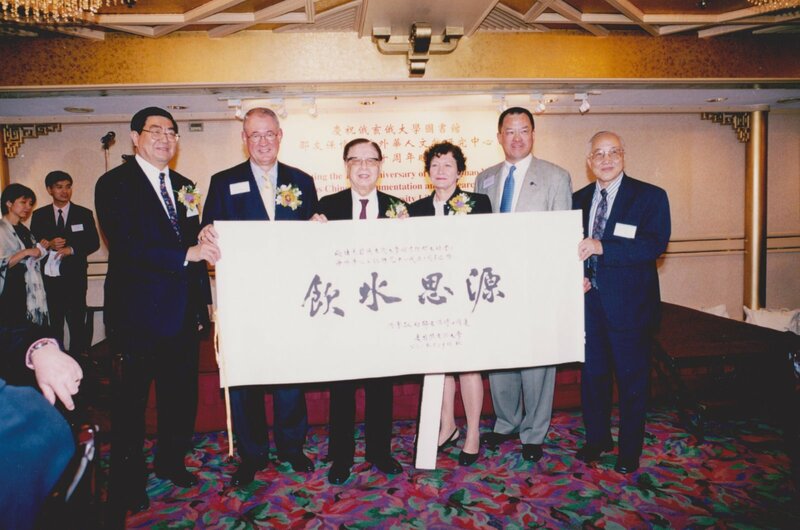 The photo: Dr. Robert Glidden(left), President of Ohio University, and Mr. Tung Chee-hwa (right), Chief Executive of Hong Kong. From left to right: Dr. Daniel Shao, Dr. Robert Glidden, Mr. Tung Chee-hwa, and Roderick G. W. Chu, Chancellor of the Ohio Board of Regents.